As you may well be aware, Doraemon Story of Seasons - a crossover title featuring elements of both Japanese manga series Doraemon and Story of Seasons - is launching in Japan this June. In case that wasn't enough for you, it has now been confirmed that another Story of Seasons game is currently in development, separate to that release. - Doraemon Story of Seasons is a project that was launched by Bandai Namco’s Koji Nakajima, who was a fan of Harvest Moon: Back to Nature. - Unlike past Story of Seasons titles, Doraemon Story of Seasons has a proper main story (as opposed to just working on the farm). - The theme is family, and the main story focuses on love for one’s family. - Working on the ranch is the player’s main task, and at first the farm work will be quite hard. - Doraemon’s secret gadgets will help resolve the things that “inconvenience you” in Story of Seasons. - The “At Gungun,” which causes crops to grow immediately, is an expendable item, so it cannot be used carelessly. 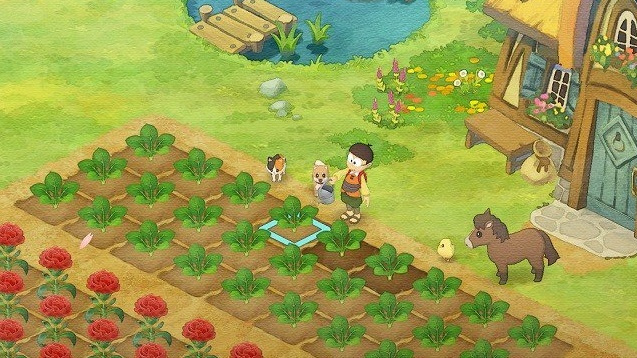 - Other than Doraemon Story of Seasons, work is underway on a new Story of Seasons game, according to Marvelous’ Hikaru Nakano. Are you a Story of Seasons fan? Will you be keeping an eye out for more announcements on this going forward? Let us know your thoughts below. Very nice news, with a new SoS, RF4 + 5 and SV, farming games are a winner on Switch. I'm looking forward to it but I hope they mix things up a little for the new game. Stil getting this one but woo the floodgates are opening!!!!! 2. No lifting any items above the head like on Harvest Moon 3DS did. 3. Bachelors have proper masculine looking and outfits, No Bishonen looking. 5. No strictly one season only crops. 6. 360 degree Camera Angle like HM Wonderful Life. 7. The Festivals have meaningful purposes like playing mini games and Bazaar, not just only decorative activities. 8. No 10 minutes in game every 6 seconds in Real Life. 9. Kids from marriage can grow up into adult, not stay on Baby forever. 10. Not searching for ending only like Save the Homeland. I will buy that Bokujou Monogatari game. Here's hoping for a more interesting variety of bachelorettes this time, including at least one 30+ year old (human) option like in SOS. Seconding interactive festivals, and ditch the current crafting system for the old-school lumber system. I really wish they'd make a game that's pretty much just Back to Nature again. I really just can't sink my teeth into the stuff the series has been doing since, like, Tree of Tranquility. @Lizuka I agree with you here. In my eyes, the "Harvest Moon" series peaked with HM64 and the surrounding games like Back to Nature, Friends of Mineral Town, etc. As the series went on, they kept introducing new elements to try and make the game fresh, but in my opinion it took away from the original vision and simple charm of the earlier games. Unfortunately, I don't think they'll go back because people who want those experiences could just find a way to replay them. I recently dusted off the old Wii U to play HM64 on the virtual console. Even with all of the small warts, that game is still the pinnacle of the series for me, personally. What I wouldn't give for a remake in that new art style they're using for Link's Awakening...I think that would fit perfectly. As long as Natsume didn't develop it because they would probably completely ruin it. Alright, end of my old-man rant. Get off my lawn and such. Yup, they’d better be. We hunger. I too haven’t been too into the series for a while, but I’m still optimistic about new releases. I'm sure they're just kidding around. After twenty three years and over forty individual releases, they'd never actually make one more Harvest Moon game, right? Finally! 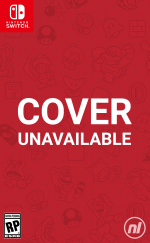 A new SoS is at the top of my switch wishlist. Lovely. Hopefully it's as feature-rich as Trio of Towns was, if not moreso! @Lizuka I coudn't agree more. Harvest Moon 64 was incredible and then Back to Nature was just as good but added some awesome things that made the game bigger and deeper. That art style was the best as well and I wish they would just make an HD updated version with the depth of items and crops that Stardew Valley offered. Harvest Moon Back to Nature is the best in the series period. Sunshine island was pretty good too. All the other 3ds entries imo are complete garbage in comparison.